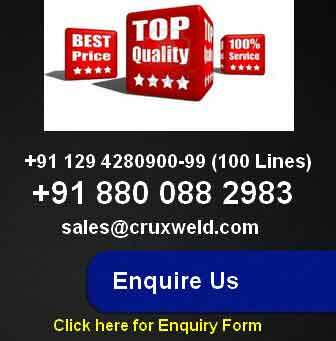 CRUXWELD offers precision pedal operated rocker spot welding machine in range of 6KVA, 8KVA, 10 KVA, 10 KVA, 15 KVA, 30 KVA. We offer Welding Machines that pass through under toughest quality control measures to provide breakdown-free service for years. 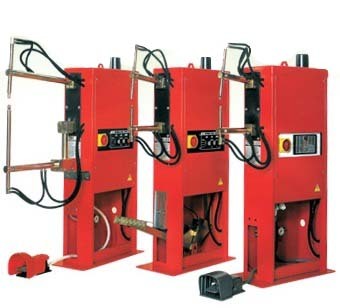 These spot welding machine accomplished near endless welding without change of electrodes. Moreover, our spot welding machine gives guarantee to low distortion of welded parts. We are able to provide you, best quality spot welding equipment which fulfil your specific needs. Our consistent effort of technology and never ending R&D endeavour is the true result of our reliable welding products. Adjustable distance of rocker arm. Heavy duty performance in working. Step less current control from min. to max. Padel control adjustable in lenth.